A couple of weeks ago, I reported that the Esmay building on Hudson (right across from the Greenhouse) was getting converted into a commissary kitchen for Marination’s beloved Hawaiian-fusion restaurants and food truck. As can be imagined, the thought of a prep-only-no-restaurant business in a prime location right in the heart of Columbia City’s business district left a lot of neighbors wishing for more. While the details of what the restaurant will be are still unclear (Marination currently has three establishments: Marination Station (Capitol Hill), Marination Ma Kai (Alki), and Marination Mobile (food truck)), I’ve been told that a big project is in the works with outdoor seating, a possible beer garden, and major changes to the building listed as part of the plan. So, stay tuned…as we all know, many potential plans have existed for this site (brewery, burger joint, etc.) and none have come to fruition. This one, however, seems to be the furthest along in the planning stages (type in 3714 S Hudson to see what’s been submitted thus far). While there’s no confirmation on what the restaurant will actually be, we do know for a fact that a commissary is in the works, a restaurant is planned as a second phase, and that Marination is behind it. Although it will be made right here, don’t expect to actually be able to eat this in Columbia City. Vacant for years (even after an extensive structural remodel which seemed to be prepping it for a restaurant), the Esmay Building has long been the subject of ongoing rumors. With its good bones, exposed beams, great vintage signage, and key location right in the core Columbia City historic business district (directly across from Greenhouse on Hudson), many neighbors have hoped for another business or establishment that could be another major draw and key part of the community. However, it looks like the potential for any brewery or burger joint is gone. The Seattle Department of Planning and Development is showing new documentation for the space to officially get converted into a commissary kitchen for Marination. For those not familiar with the business, Marination operates two restaurants: Marination Station on Capitol Hill and Marination Ma Kai on Alki. Marination’s original food truck, Marination Mobile (a.k.a: Big Blue), also has a dedicated following, was once voted America’s best food truck (somehow by Good Morning America’s viewers? ), and even had a short stint in Columbia City where the new PCC is now going in. 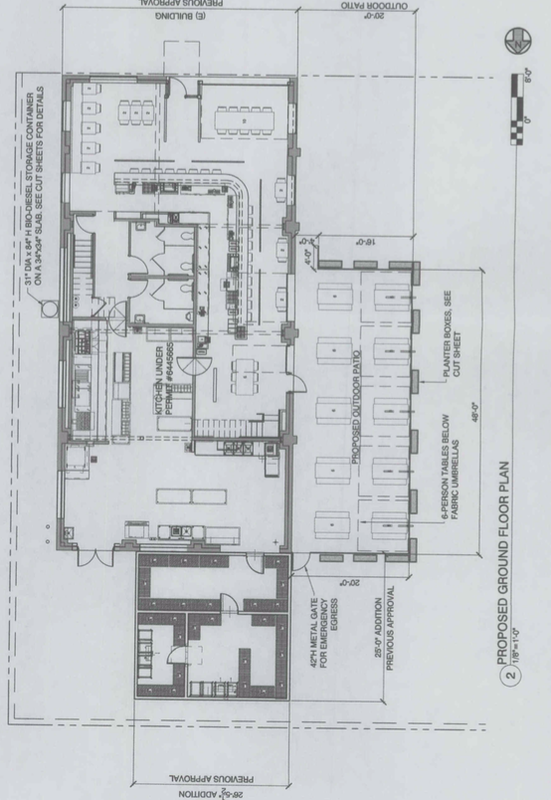 Looking at the initial forms that have been publicly posted (click here…type “3714 S Hudson” in to search), the proposals and permitting do not appear to have any plans at all for using part of the building for a restaurant space. I’ve got an email in to the owner of Marination to see if there is any hope for tacos in the neighborhood’s future… from the looks of things, I wouldn’t get your hopes up. The Esmay Building (3714 S Hudson St…right across from the Greenhouse Apartments) has long been a topic for neighborhood business rumors, potential, and hopes. 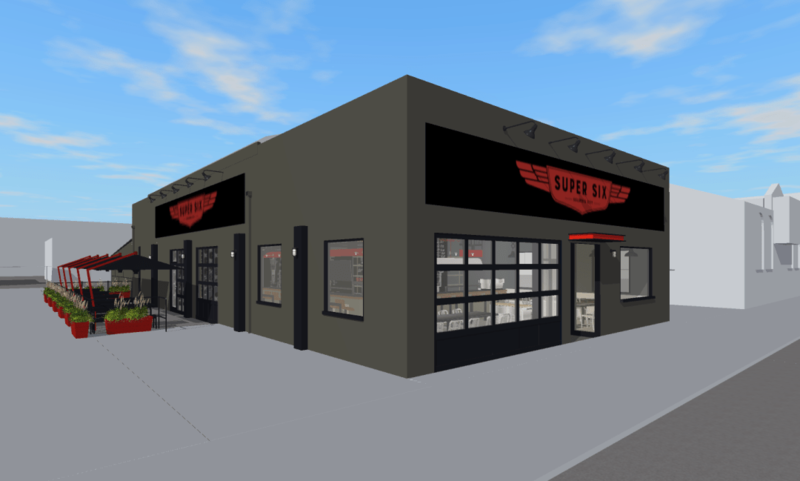 I’ve reported before on some initial buzz about a Scott Staples Uneedaburger project… only to have that one eventually fizzle out and the building to continue to sit empty. For the past year or so, with the exception to a recent failure to pay utilities notice clearly posted up on the door (intriguingly addressed to Columbia CIty Brewery…which doesn’t really seem to exist), there’s been zero action on the property. A few weeks ago however, a new site plan went up–the business owner…Marination. Before you get too excited about those beloved Korean-Hawaiin tacos once again being available in Columbia City (the Marination foodtruck once had a residency in the lot where the new PCC is going in) the initial site plan seems to suggest that the plan is solely to convert the space into a new commissary kitchen. We also know that a posted site plan is by no means a guarantee that anything is going to happen with the space…plenty of them never come to fruition. Who knows though…perhaps there’s a chance Marination will realize the building would be a great option for a Southend Marination Station or Mai Kai Columbia City. 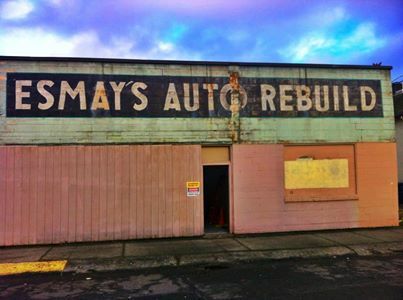 Rumor: Esmay Building = Scott Staples Restaurant? Speaking of the Columbia City Review Committee (see post below), there’s been a lot of neighborhood discussion and rumors about what the plan is for the Esmay Building (on Hudson, directly across the street from the Greenhouse Apartments). Retrofitting the building (roof/seismic/etc.) has been an on-again-off-again process for the past couple of years, with no one really talking openly about what the plan for the space actually is. Just started new construction down in Columbia City! Check back in and watch us turn this space into a brewery! From there, the trail stalls out a bit and perhaps the plans changed. Construction at the Esmay Building has been on hiatus for at least a year with very little action at all. However, digging through the past agendas of the Columbia City Review Committee, there are some strong suggestions that a restaurant may very well still be in the works. There are earlier agendas and minutes (including this one from 2011 with a number of specific details and comments) on the initial retrofit, but this agenda from August 2013 is promising as it lists Wynn + Associates as the current architects proposing exterior alterations to the building. Around this time, a few neighbors in the know started dropping the names of Scott Staples as the possible tenant. Scott Staples is the chef/owner of Quinn’s Pub and Restaurant Zoe on Capitol Hill and Uneedaburger in Freemont. To back that up, is this agenda from December 2013, which lists a Heather Staples (yup, that’s his wife and partner) as the business owner proposing exterior alterations. Most recently, is this March 2014 agenda which once again lists Stefan Wynn from Wynn + Associates as the architects on the project proposing exterior alterations. 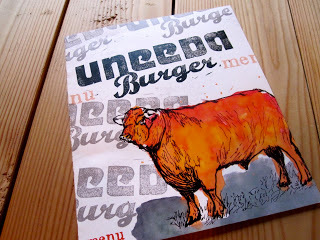 So, does this all mean that we are getting a Uneedaburger Columbia City? Something along the lines of Quinn’s? Something a bit fancier like Zoe? Something else entirely?…I have no idea, but figured it’s a worthwhile rumor to jump into. Feel free to chime in if you’ve got any details about what may be coming. As the signs on the old Esmay building have been covered up with Super Six’s new branding, the excitement about Marination’s new Columbia City project has been growing. 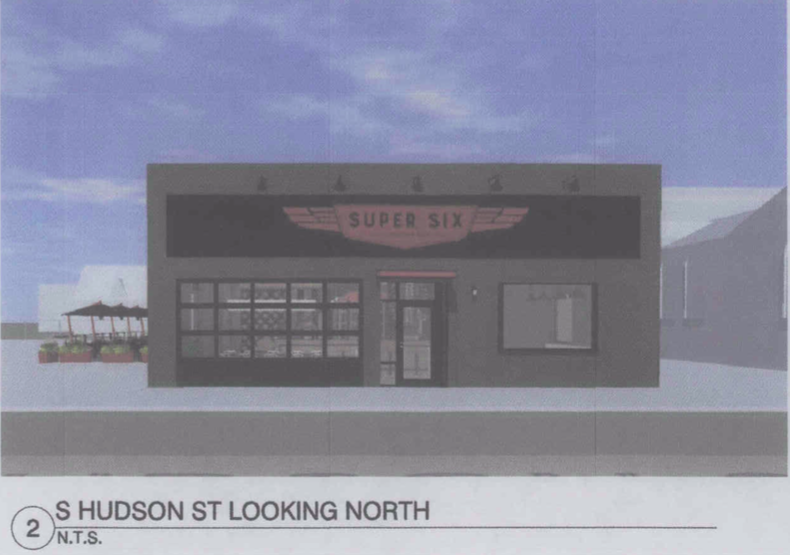 Team Marination sent along a few more details on Super Six, the former auto body shop in Columbia City that will soon see new life as a day-to-night restaurant with long-term plans that involve a rocking beer garden. Owners Kamala Saxton and Roz Edison say their latest outpost will open in September, though as always that’s subject to a million unknowns and variables. Super Six is named in honor of a slick long-ago sedan produced by the equally long-ago Hudson Motor Company and will essentially serve a broader take on Marination Mobile’s Hawaiian-Korean fusion. In a most appropriate turn of events, Ma’ono chef/owner Mark Fuller–a guy who knows a thing or two about fusing Hawaiian and Asian flavors–is consulting on the menu. Kim Mahar is the opening pastry chef, a move that might prompt cries of nepotism, except that she put out some pretty impressive desserts during her days as the pastry chef at at RN74. Saxton and Edison also have their leadership in place: Chef Ryan Doran has been working alongside Caprial Pence at the Alexis, GM Kristian Unvericht helped open Tallulah’s. Here’s another rendering, just for kicks. A large beer garden is slated to arrive next summer, but hopefully the weather gods and the opening/permitting gods will align to let us enjoy a few weeks of that little patio before fall truly sets in. Eater Seattle also picked up on the most recent announcements. After a few years of sleuthing the scoop on the Esmay building, things seem to be pretty official with multiple media outlets now reporting the opening of a new restaurant from the owner’s of Marination at Rainier and Hudson. Last week, Marination got in touch directly with a mini-press release explaining their proposed plans for their upcoming restaurant…and this week, there is already a crew of workers making changes to the building (most likely setting up the first phase–a full commissary kitchen for some of Marination’s other projects). Both Eater Seattle and Seattle Met picked up the story and even included some of Columbia City Source’s ongoing coverage of the many potential plans that have fallen through. For two women who built their business out of a food truck, Marination owners Kamala Saxton and Roz Edison have a knack for turning uncommon older spaces into congenial bars and restaurants. 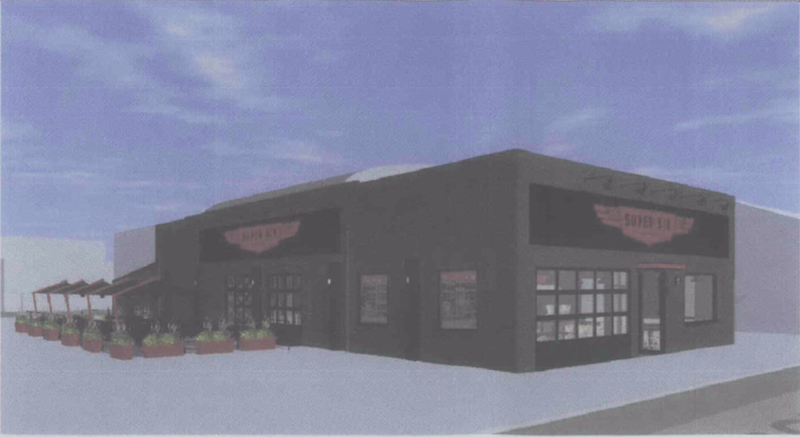 Now the pair are expanding the Marination empire to Columbia City, turning the former Esmay Auto Rebuild garage just off Rainier Ave into a restaurant. It doesn’t yet have a name. And while it’s not technically a Marination, it will share a distinct aloha vibe with the company’s other spots on Capitol Hill and in West Seattle…and the big blue truck where it all began. A few favorite Marination dishes will show up on the menu, but otherwise company chef Angie Roberts gets to create an entirely new lineup of sunny Asian-Hawaiian fare. The restaurant will serve breakfast, lunch, and dinner, plus weekend brunch. Saxton wants the place to function as a community center of sorts, a place for Little League banquets and casual meetups. Yes, it will be super family friendly, she says. “But expect booze-filled evenings.” There will be ample cocktails, plus the space has a massive attached parking lot that in Saxton’s mind “screams beer garden.” And these ladies would know—the patio at Ma Kai might be the most scenic beer garden in town. Saxton and Edison were scouting for a commissary kitchen—a place to prep the food served on the truck and elsewhere—and decided to check out the 1947 garage, which had attracted initial interest from a few local chefs and a brewery in the past few years, but was still available. It had great bones and enough room for both a commissary and a full-on restaurant. Since the space is bigger and more nocturnal than the Marination locations, and will serve a far broader menu than the truck, it felt right to give it a separate identity. Plus, she says she and Edison had a lot of fun opening Good Bar in a former bank building in Pioneer Square (see what I mean about cool spaces?). MARINATION’S COMING TO COLUMBIA CITY, and it sounds like it’ll make the neighborhood very, very happy. The new restaurant from Roz Edison and Kamala Saxton doesn’t have a name yet, but it’ll be in the building formerly housing Esmay’s Auto Rebuild (3714 S. Hudson St.). They plan to be open for coffee and so forth in the morning, weekend brunch, and cocktails and dinner — the latter with an Asian-Hawaiian menu featuring local ingredients. Edison and Saxton live in Columbia City and Seward Park, so it’ll be closer to home for them than their other spots (the various Marination incarnations and the swell-looking newish Good Bar in Pioneer Square). Edison says, “We’re excited about all the growth happening in this part of Seattle and we wanted to bring some aloha to it.” They anticipate opening next fall. Rumor: New Seafood Restaurant Coming to Columbia City? The details are very scarce, and it’s probably too early to count on it (let alone post something like this), but there is a rumor on the rise that the new, long-empty building at the former Angie’s location has been leased to a new seafood restaurant. The signage for the upstairs rental does appear to have changed, indicating that at least the office space above has been rented. (correction: the signage indicates it’s the downstairs restaurant space). This prompted a Facebook discussion on the Columbia City page, and there, some neighbors in the know are indicating that, indeed, a new fish and oyster place aptly named “Sea Salt” is coming our way. 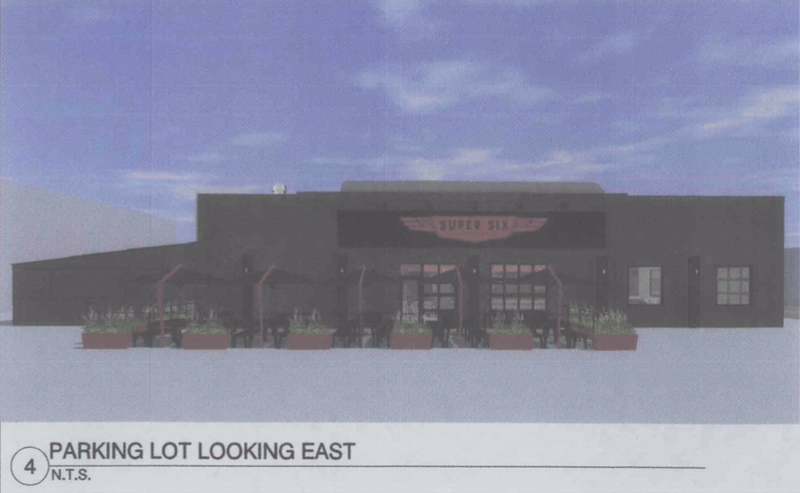 We’ll see how it pans out–there has definitely been excitement before about neighborhood food possibilities that haven’t quite come to fruition, so be sure to chime in if you have any more details.